AWARE FishID -- What was that fish? How often have you heard that on a dive trip? You’ll get more out of the dive when you know what you’re seeing. 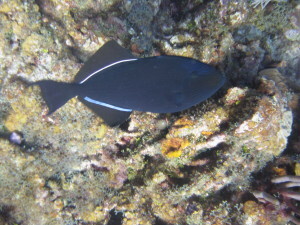 The AWARE FishID Adventure Dive and Specialty are great ways to start identifying the fish you see when diving. There are over 21,000 known fish species. That’s a lot to know, but there are ways to group the fish into families based on their similar characteristics. Also, you probably won’t find all 21,000+ species on the same dive. There are usually a small group in the area you’re diving, so you can focus on what you’re likely to see. Some of the characteristics you look for include fins, body shape and behavior. 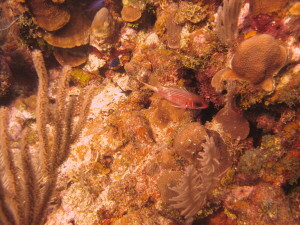 For example, squirrel fish have big eyes and a large rear dorsal fin (dorsal=>back). Squirrel fish also tend to be nocturnal, so you probably won’t see them out much during the day; you might see them lurking in crevices, though. You’ll learn some techniques for recording your observations while diving. You can use specialized slates that have pictures of the fish common in an area or use a generic slate that you just divide into a grid and record what you see. Why is it important to record what you see? For some divers, it’s personally rewarding. Beyond that, the information you collect can help researchers determine if something is changing in a fish population. In the AWARE FishID Specialty, you’ll learn more about recording data and submitting it to REEF to be used by researchers. 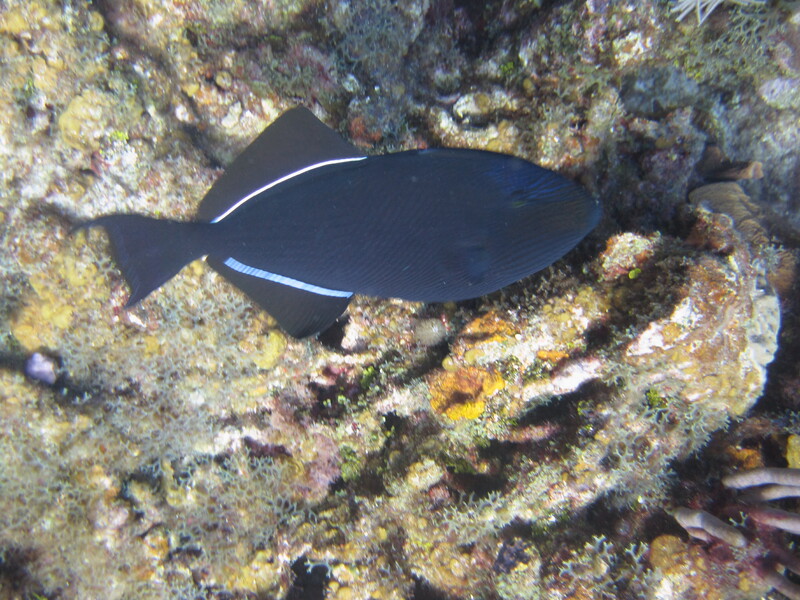 The cool thing is that you don’t have to change your dive to accommodate the fish identification and record keeping. This is called the ‘roving diver’ approach. You do your dive like you normally would, just making notes as you go. To compliment the AWARE FishID Specialty or adventure dive, you might also want to take the Underwater Naturalist Specialty. You’ll learn more about the underwater world, going beyond fish and looking at invertebrates (animals without a backbone) such as squid and octopi and also plant life such as algae and sea grass. You’ll also more about characterizing and naming aquatic species. Dive in for Earth Day!